Savings bonds are issued at face value. 1. How Long Will It Take My EE Savings Bonds to Mature? 3. 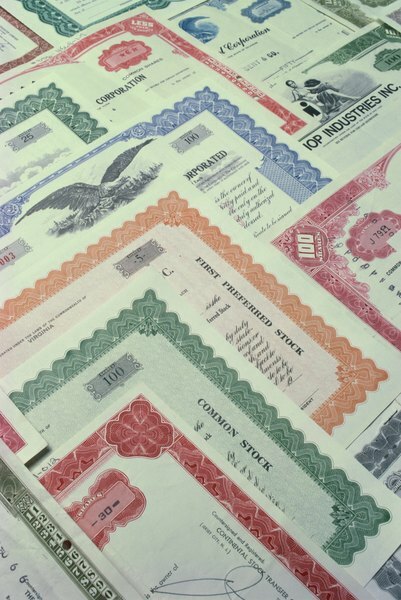 How do I Calculate the Value of Paper Savings Bonds? All Series EE savings bonds are now sold at face value and can earn interest up to 30 years from the date of purchase. The Treasury guarantees that your savings bond will reach face value in 20 years. For example, if you bought an EE bond with a $100 face value on Jan. 1, 2019, it will be worth at least $100 on Jan. 1, 2039. If the normal interest hasn't made it reach face value at that point, the Treasury makes a one-time payment to up the bond's value to the face value. Depending on interest rates, however, the bond could reach its face value in less than 20 years. Series EE savings bond don't stop earning interest as soon as they reach their face value. Rather, they have a final maturity of 30 years. This means that the bond will continue earning interest for 30 years after you bought it, regardless of whether it reaches its value after 20 years with a special Treasury payment or earlier. After 30 years you need to redeem the bond because it won't keep earning interest. One of the added benefits of Series EE savings bonds is that you can defer paying taxes on the interest you earn until you cash out the bond, rather than paying the interest in the year you earn it. For example, say your savings bond earns $5 in the first year. If you don't redeem the bond until year 30, that's 29 more years that you've put off paying taxes on the interest. It might not sound like much, but if you have a plethora of bonds, the tax deferral option can save you some serious dough. TreasuryDirect: How Long Do These EE Bonds Earn Interest?